I recently had the opportunity make a quilt with Luke Haynes' new fabric, Dapper. I was really excited to work with the woven fabrics. They are GLORIOUS! 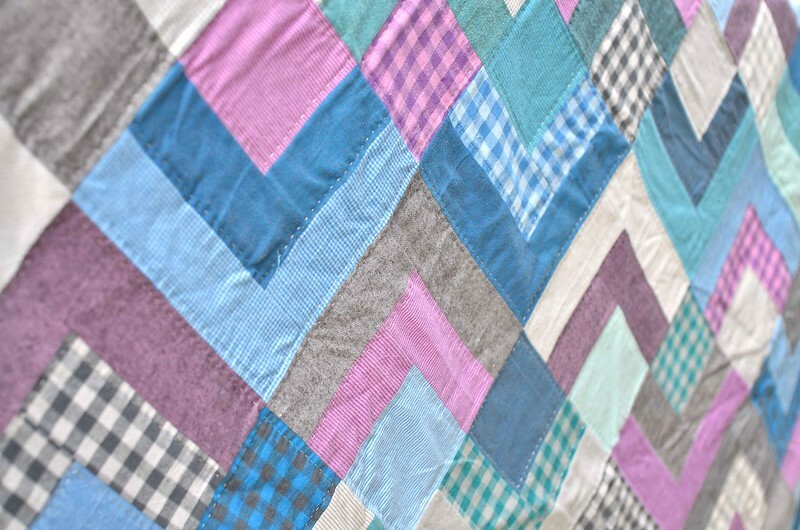 The tutorial for this quilt is up on the Moda Bake Shop, but I wanted to share a little more here. You might be wondering what makes these different than regular quilting cotton. I don't know the technical details, but they feel like a lightweight flannel. They are a little fuzzy, but not heavy, they have a little bit more stretch to them, but they aren't difficult to work with. When I was done with the quilt top and trying to decide how to quilt it, hand quilting seemed like the best option. It kind of took forever (I'm pretty slow) but I am so happy that I took the time. I considered calling it the House of Cards Quilt because it took me a little more than the entire 4th season of House of Cards to hand quilt it. I also hand sewed the binding down with perle cotton. This is the first time that I have tried this method and it was quick, the binding feels secure, and I really like the effect. Check out the tutorial for step by step photos. If you decide to make your own quilt, I would love to see photos! It looks great. It would take me all four seasons of House of Cards to hand quilt anything. :D The link to the tutorial isn't working. Never mind. The link goes to the bakeshop but you need to click on the Dapper Squares to get to the tutorial. Beautiful quilt, and I love the binding stitching. Very nice! Beautiful effect with the perle cotton thread and great idea to use it for the binding too ! A lovely finish! I really like your colour combo, and it has a very handmade cuddily look about it! This is just lovely! 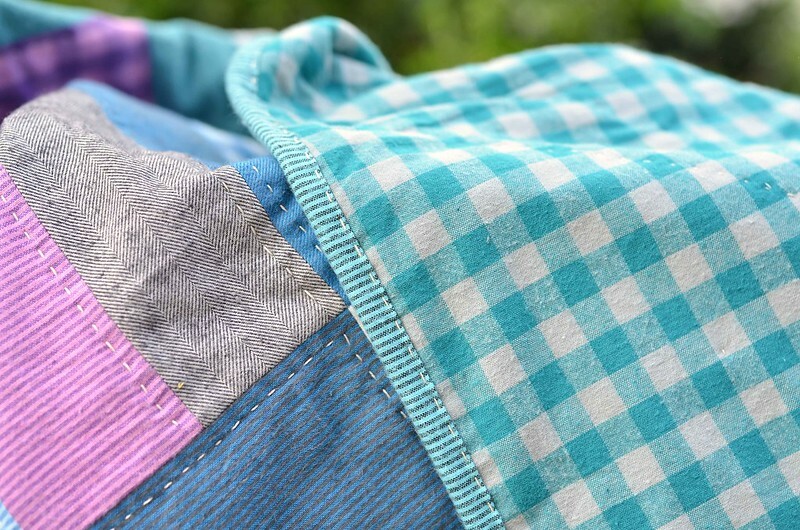 I adore the hand quilting! 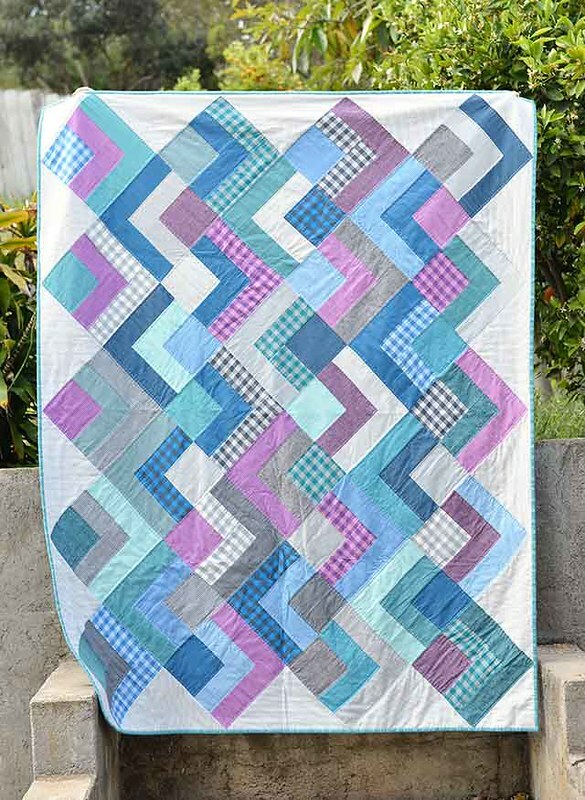 I love the colors in this quilt. Thanks for sharing!! This is beautiful! It looks so soft and the colors are perfect!! Very sweet.